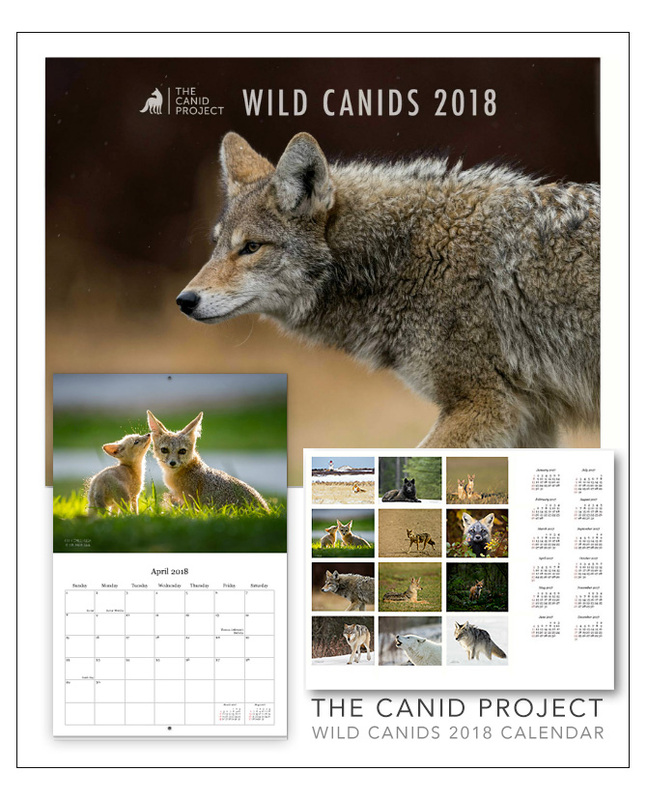 The 2018 Wild Canid Calendar is HERE! Help contribute to The Canid Project by purchasing our annual Wild Canids Calendar! The Canid Project's 2018 Wild Canids Calendar features our contributors beautiful canid images from around the world, as well as one winning image by photographer Harry Collins. Get your calendar in the SHOP!